Originally, I’m from a town by the sea: Sanremo, Liguria. For this reason I was raised with the possibility of tasting fresh seafood on a daily basis. When I got to Milan I quickly learned that the best seafood probably gets to Milan more than staying in Sanremo, because that’s where the richest business is and the market follows. Barmare is one of those cases where this is proven to be true. They get seafood daily from Liguria. Accordingly: their menu is never the same. 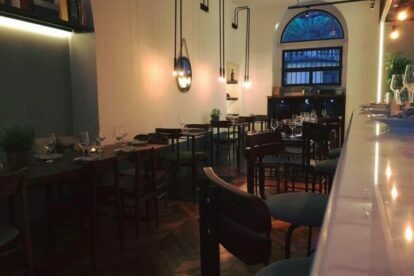 Their intimate space is for the lovers of good Mediterranean food: cruditè, marinated, all with organic wines and carefully chosen cocktails. They also have a bar counter should you be for a quick aperitivo. I’d suggest you ask Kip to pair some oysters with an Italian organic wine of his choice — you won’t be disappointed. If you want to go for dinner, remember to reserve in time, especially during the weekend.